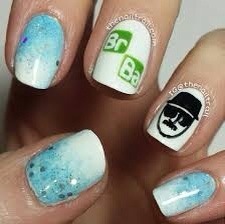 And so I’m sad to report that breaking bad has finally come to an end for me, I watched the finale last night and yes I cried, who can blame me. 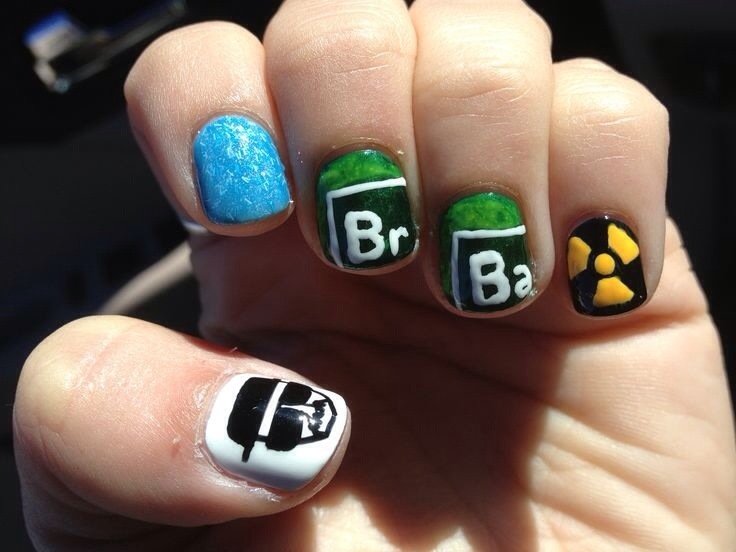 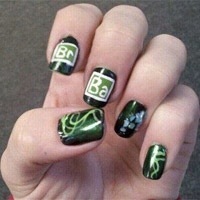 What better way to help with my breaking bad grieving process than with nail art, here’s some of my faves. 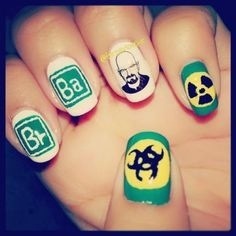 Love all of these they all look so epic. 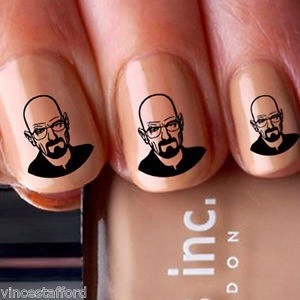 I love the Heisenberg decals I need them In my life.